eThekwini Municipality’s multi-billion rand strategic and catalytic projects are set to increase the city’s rates income and create much needed job opportunities, writes Nondumiso Mathomane. The city of Durban is poised for massive growth from several major catalytic projects over the next few years which will transform eThekwini’s landscape and create thousands of investment and employment opportunities. eThekwini Municipality has adopted a long term strategic view when it comes to the implementation of infrastructure projects. This is done through a pipeline of catalytic projects, which are classified as high impact projects that yield a large number of jobs and creates opportunities for private sector investment. These catalytic projects are not only the backbone for our city’s economy, some of them will change the face of our city forever. Our catalytic projects are helping us address historical imbalances associated with separatist planning. 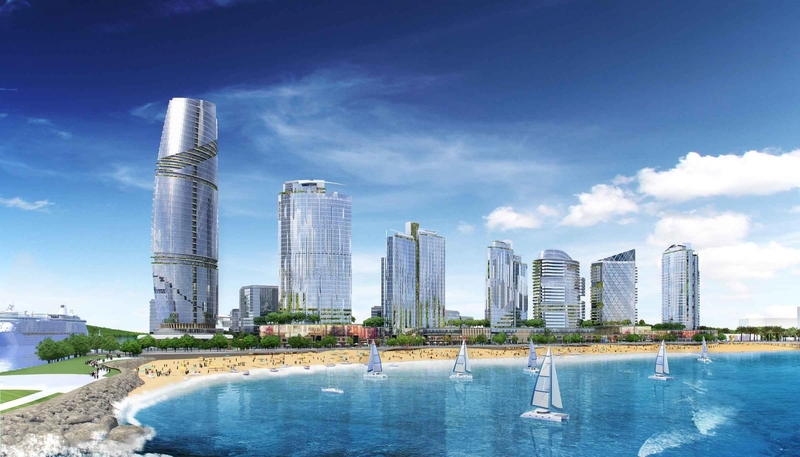 The municipality has lined-up major construction projects to attract investment back to the inner city, such as the Centrum site development, Warwick Junction redevelopment, Point Waterfront and Kings Park Precinct which encompasses the Natal Command site redevelopment and the Durban Iconic Tower. Other large scale projects include the Cornubia mixed-use residential and commercial development. All these ground-breaking projects are expected to attract new investment, create employment opportunities for eThekwini residents and contribute immensely towards the city’s coffers while cementing Durban’s economic status globally. participation of African people, in particular, in the property development industry. Using the abovementioned criteria, catalytic projects are divided into two main categories namely, Category A: those that are in or nearing the implementation stage and Category B: those that are still at planning stage. Infrastructure delivery will commence in June 2016. Once completed, the project will generate R25 billion worth of investment, will create approximately 11,000 jobs during construction and 7,000 more permanent jobs.